Corporate policies – from HR guidelines to pricing rules — set the standards, outline the operations and shape culture of an organization. So it goes without saying that having a good handle your company’s policies and procedures is crucial. 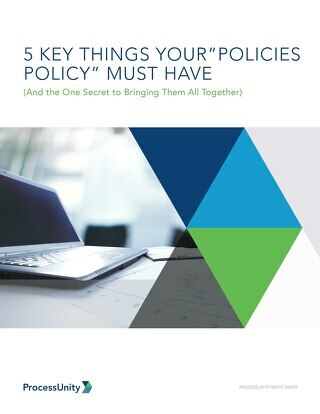 But it’s not easy: with constantly changing regulations, an increasing number of vendor relationships and more customer-facing documents, the policy landscape of a company continues to become more complex. Documents start to slip through the cracks as there are too many moving parts and players involved. 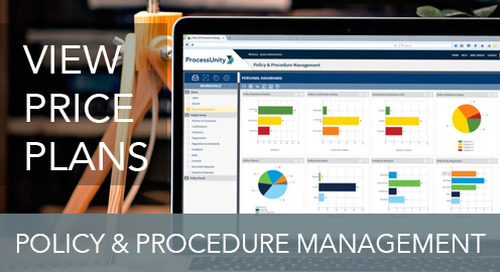 Use an automated process to track workflow and connect policy owners with all relevant people and documents. Employees may be accessing outdated documents. Create auditable trails with date and time stamping for historical record. Static policy and procedure libraries are not actively distributed. The read and understood documentation relies on manual processes. 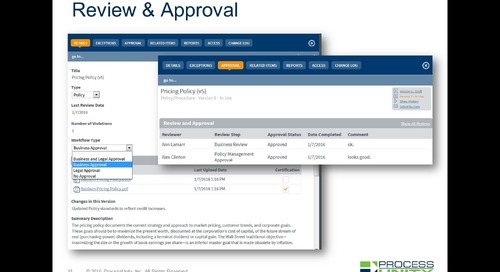 Use push tools and reports that automatically send policies and additional alerts for incomplete certifications. With changing regulations, it may be unclear which policies are affected, and who should be responsible for the changes. 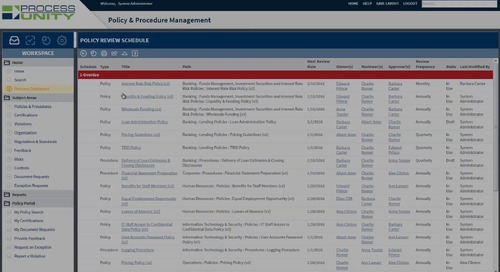 Link policies to related regulations such that a subsequent search of a regulation can prompt relevant policies/procedures. Passive policies do not account for the reasons and results of exceptions, creating a disconnect between the company’s principles and practices. Record who, what, why and when. This creates strong evidence to manage and confront exceptions or violations. 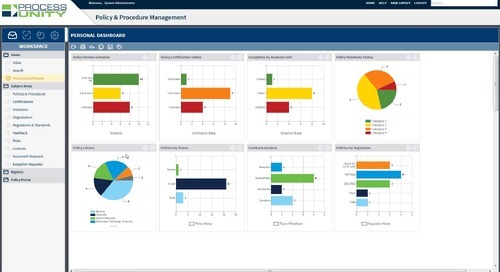 In evaluating your organization’s PPM framework, what challenges do you face? How automated are your processes? Watch the Compliance Week webinar replay and learn how to tackle your biggest policy and procedure management challenges. 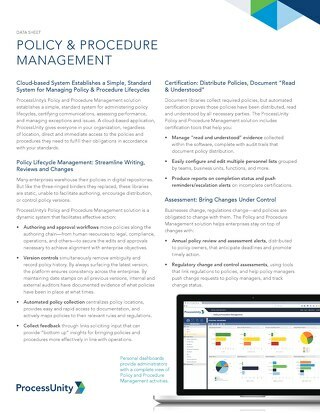 The post The Top Policy and Procedure Management Challenges and How to Solve Them appeared first on Risk Management Blog.